It’s twins week at Dahlias and Daisies! I love the bond between twins. My first newborn shoot, twins none the less. It was so sweet how calm they became just being near each other. 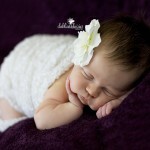 While baby was a few weeks older than you should be for your newborn pictures, she did amazingly! I love this age though, so soft and beautiful. I had the pleasure of snuggling Miss Savannah today! All images copyright Dahlias and Daisies Designs 2014. Please do not copy, print or distribute any images found within this site.|ProPhoto Blog Template by NetRivet, Inc.